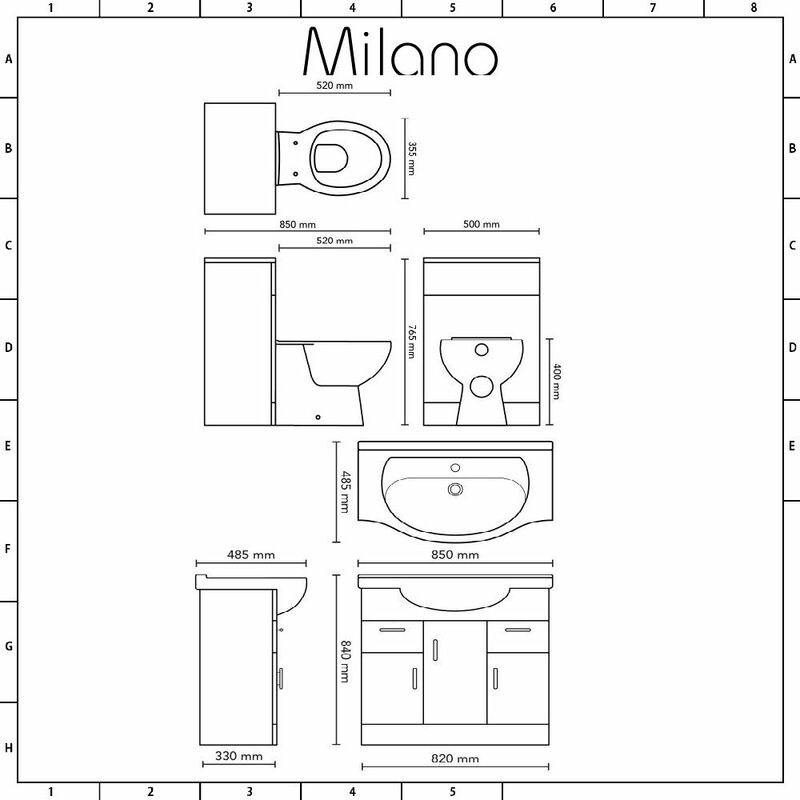 Give your bathroom a modern and stylish twist with the floor-standing Milano Classic 850mm vanity unit and basin. 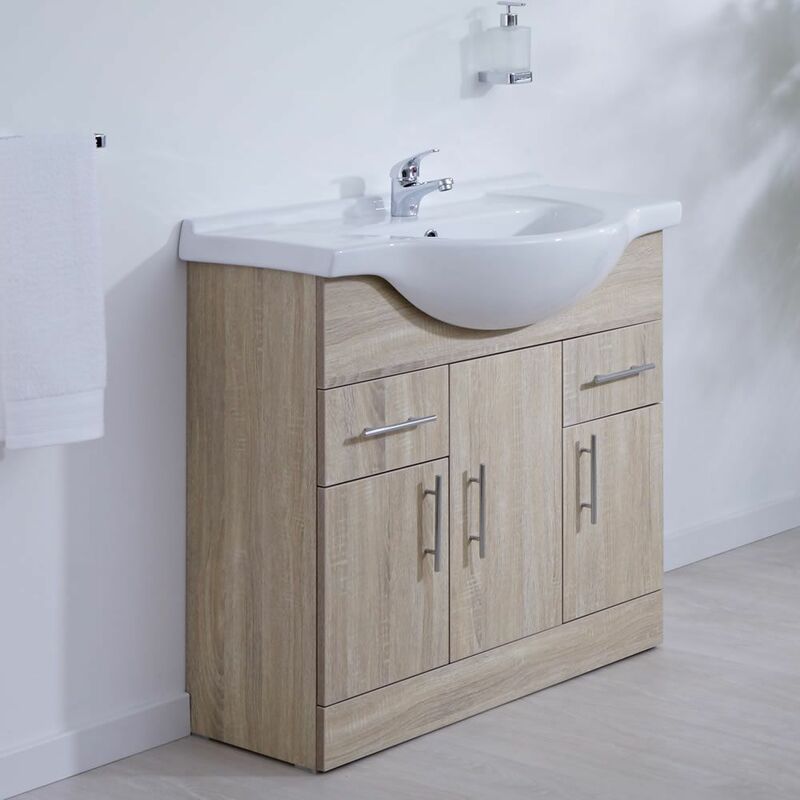 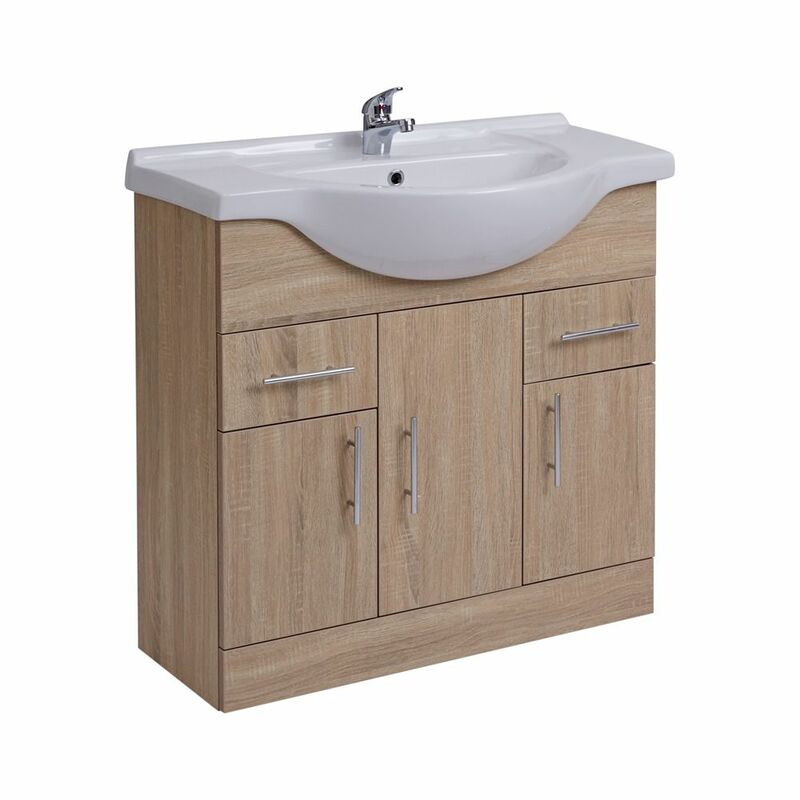 Featuring a robust moisture resistant engineered wood construction for long-lasting durability and finished with an attractive oak effect, the Classic vanity unit offers a spacious storage solution. 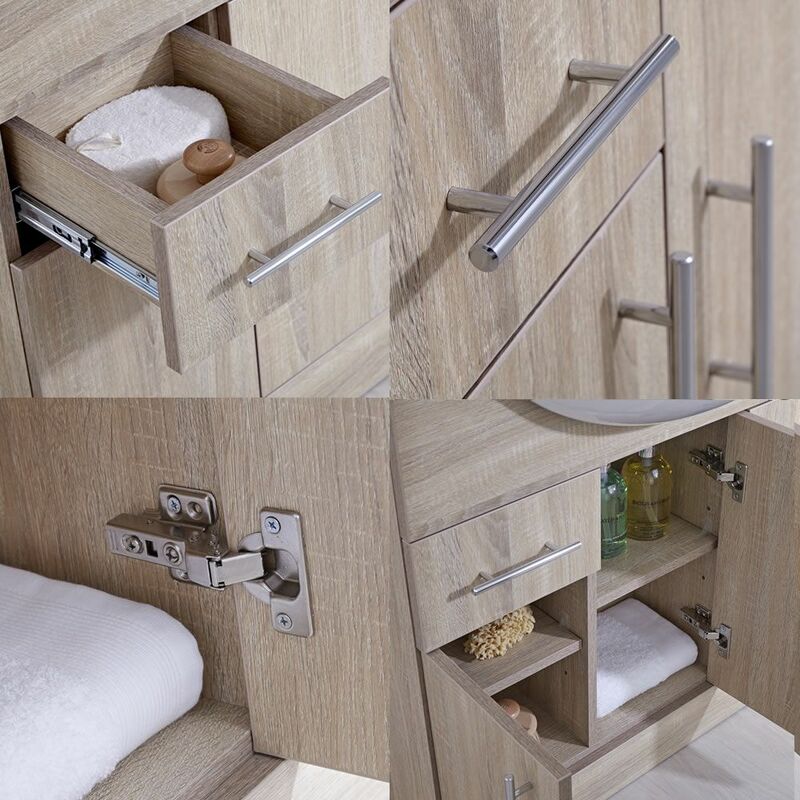 With three cupboards and two drawers to store your toiletries and other essentials, your bathroom can keep a tidy and minimalist look. 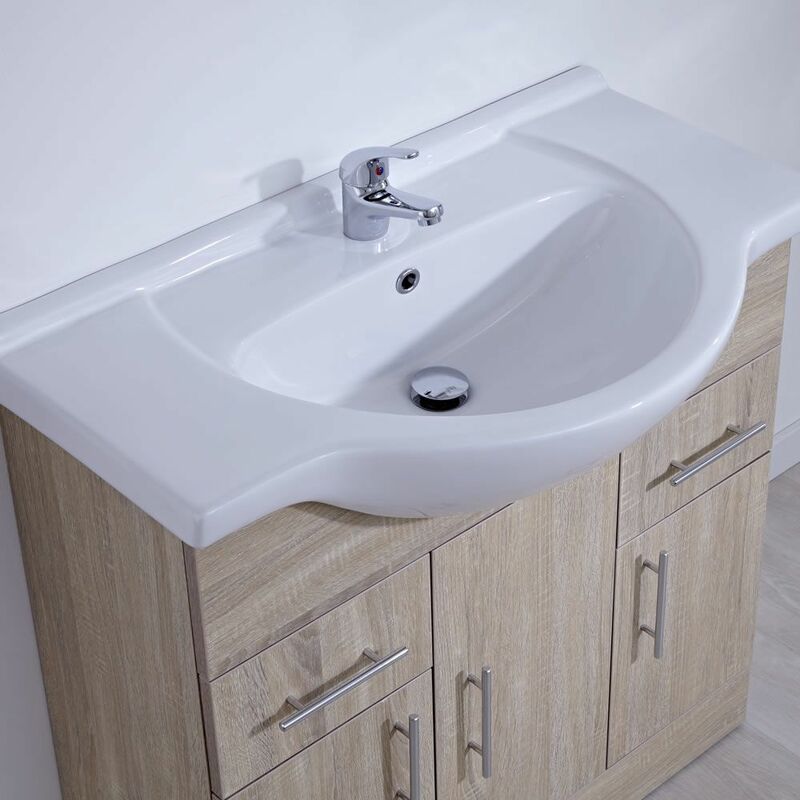 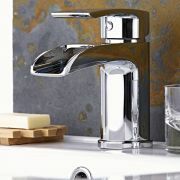 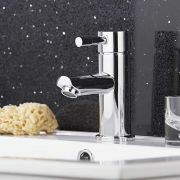 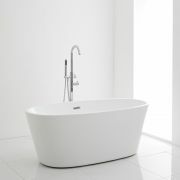 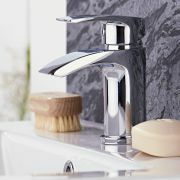 The integral basin, made from a white glaze finished high quality ceramic that is easy to clean, is fitted with a single tap-hole, giving you the opportunity to choose your own mono tap from our range. Continue the theme in your bathroom by pairing the vanity unit with matching items from the Milano Classic oak range, such as the WC unit.